This boutique residential community of only 250 homes represents an exciting opportunity to become part of an exclusive residential neighbourhood that has been carefully planned to blend seamlessly within an inspiring environment of nature reserves and green, open spaces. Caledonia offers a premier opportunity to build a brand new home, with the builder of your choice in a well-planned residential neighbourhood that enjoys a quiet charm and unique natural appeal. 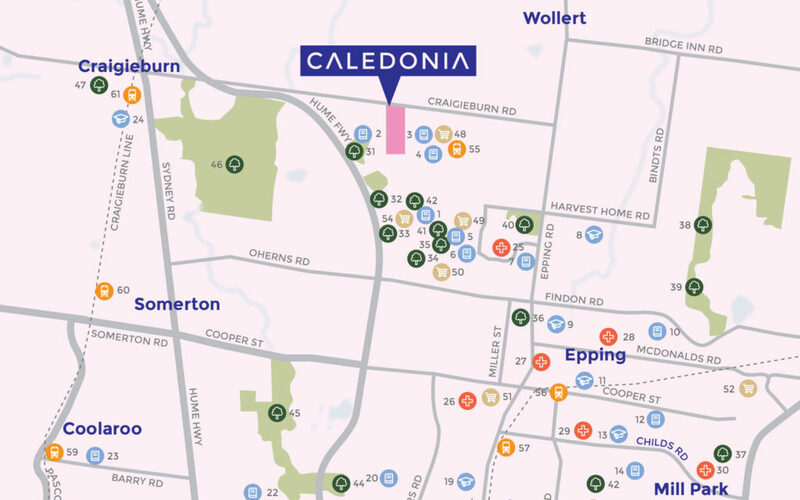 And whilst Caledonia is close to nature, residents are not miles away from it all, with quality amenities including established schools, local shopping, sports grounds, public transport, major road networks and other important community services all located within easy reach.